Katniss Everdeen begins the final leg of her journey like a wounded animal: bruised and wary of people touching her. 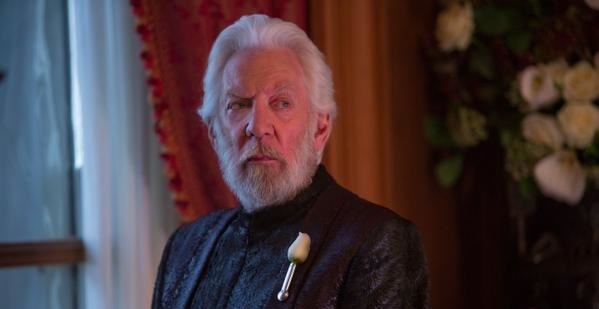 Forced again to face who she is, her own conduct and the ethics of killing after two traumatising trips to the Arena, to be the symbol of the Rebel cause is not enough for her to bring President Snow to his knees. After being used as a pawn from the beginning, Katniss concludes with resolve that she is no longer a slave to the machinations of others. The girl from District 12 neither cares whether she lives or dies, she is now willing to sacrifice herself in order to bring down the President and close Panem’s civil war. The chessboard is set and the final pieces of the game begin to position themselves for the denouement. One of the truly satisfying elements of The Hunger Games: Mockingjay Part 2, in a modern world of franchise cinema where characters are continually denied an ending, is knowing that this story actually ends. A story isn’t a story without a finale. Whereas the concluding chapters of recent blockbuster adaptations save the action for last, go out all guns blazing with audience-pleasing, fist-pumping enthusiasm, Part 2 is an entirely different beast. Its bleak (yet no less action-packed and thrilling) assault to bring the Capitol to its knees is filled with brutality, heart-breaking needless waste and steeped in so much meaning of the consequences of war and violence that it stands alone. It feels as though The Hunger Games, Catching Fire and Mockingjay Part 1 were world building introductory preludes to bring us to this final lesson; the true heart and meaning of Suzanne Collins’ story. It gives the entire series a significance and purpose. All four parts now seem masterfully bound together in to one cohesive story. Okay, so things start a little slowly. The first 10 minutes feel like we’re watching leftover scenes from Mockingjay Part 1. 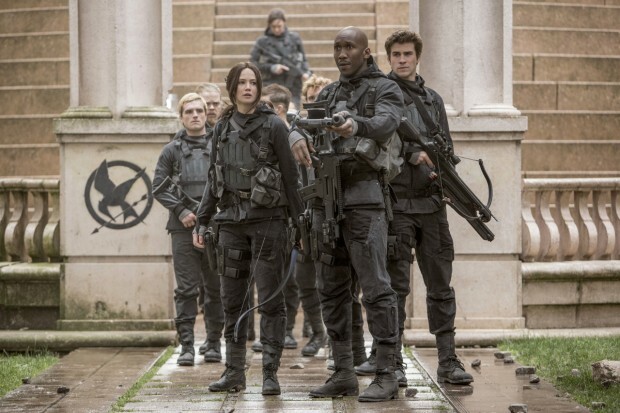 The film starts to take shape when we leave the suffocating, underground confines of District 13 and develops gradually into a thrill ride as the Rebels enter the Capitol laced with the horrors of the Games’ arena. Francis Lawrence’s vision of the outskirts of battle in the war-torn city are stunning. The production design throughout the film is highly commendable, from rubble-filled Rebel strongholds to the luxurious interiors of Snow’s mansion, pod-infested city streets to the claustrophobic sewers. Speaking of sewers, the scenes within the depths of the Capitol’s underground are cultivated with such a powerful sense of dread long before the true horror hits. From Castor and Pollux’s introduction to the ways in which Francis Lawrence and DoP Jo Willems play with shadow and light, creates a creeping sense of unease in every advance of Squad 451. The echoing, disjointed sounds and the confined set design feels like horror-infused science fiction at it’s best. For fans of the book, there are a number of times Francis Lawrence directs a thrilling cinematic landscape of prolonged anticipation. He knows the key moments fans are waiting for and knows how to fulfil these moments exactly from the source but manages to craft such a well paced edge-of-the-seat intensity that it feels as though you are experiencing the story afresh. A number of shot compositions mirror scenes from the past three films bringing a sense of well-crafted completeness. Major applause must go to screenwriters Peter Craig and Danny Strong for such a crafty adaptation. The script sticks as closely to book verbatim as possible but consistently adds, tweaks and enhances moments with just a line or plot deviation that sends the central message home. The effects and victims of violence are laced through the narrative ubiquitously. Just like the instalments that came before and as all good science fiction should be, the film is certainly relevant. Apt for the times we live in now and allegorical in many ways. The manipulation of media for purposes of propaganda and hidden agendas is still a prevalent part throughout. The gap between the have and have-nots and the fear and anger from both sides is central. The nature of war, from the consequences of taking any life to the displaced and terrified refugees swarming the Capitol streets, cause the film to feel like not only a reflection of the anxieties of the 2010s but also a true account of any necessary war from the annals of modern warfare. James Newton Howard’s score is complex, beautiful and downright stunning. Four films in, he has created a vast instrumental landscape for these characters and themes. He has an entire library of familiar musical cues which he reuses and develops to bring forth emotion and perception from earlier chapters in the series. Howard beautifully and masterfully threads the fabric of the series together. 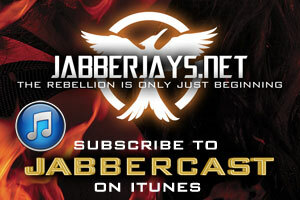 A musical performance from Jennifer Lawrence ties the story right back to the beginning of The Hunger Games. As for Lawrence herself, she turns in a magnificent and truly remarkable performance. In any other actor’s hands, this would be nowhere near as affecting and engaging as Jennifer Lawrence is to watch. It really is a staggeringly good portrayal guaranteed to move even the most cynical audience member. 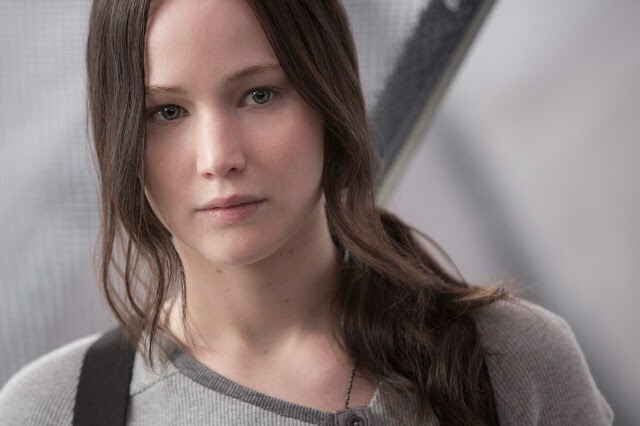 Katniss is a difficult part; complex, calculating and keeps her feelings close to her chest. Lawrence plays the part beautifully, intelligently and with extra care never to steer in to the inauthentic or melodramatic. Even the most demanding moments are played with complete commitment and confidence. As much as possible Francis Lawrence keeps the focus with Katniss. In scenes in the Capitol you feel as though you genuinely are witnessing events on the ground with her. Every expression in the vast range of emotions and rigours Katniss is put through in this final chapter is etched upon Lawrence’s face with complete human truth, cementing Katniss’ universal appeal and the achievement of icon status. 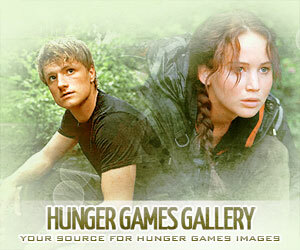 Someone who actually steals many scenes in Part 2 is Josh Hutcherson who produces an incredible performance. Peeta slips between distraught and frenzied to severe suffering and deep hurt as he tries to keep a hold of himself. He genuinely is a threatening and unpredictable presence throughout. But there is also tenderness and exhaustion. 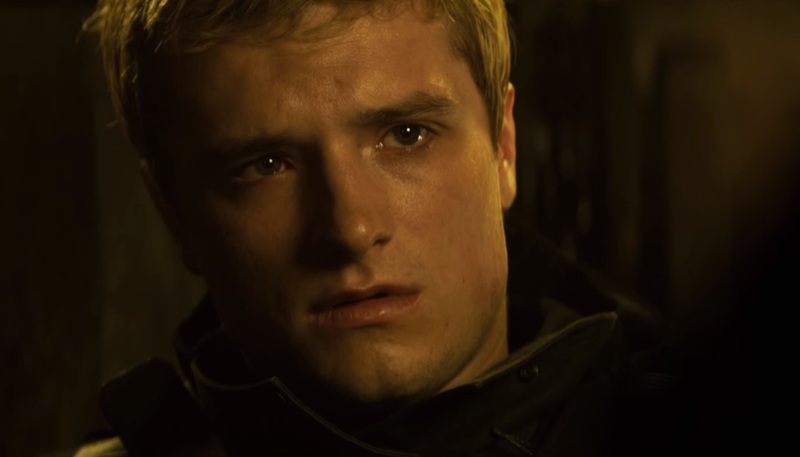 He’s a prominent part of this film, it’s hard not to feel for Peeta and Hutcherson doesn’t hold back. Both Katniss and Peeta have been used as pieces and bear all the traumatic emotional scars of their ordeals since being picked for the 74th Games. Special mention must be given to Donald Sutherland. He is completely flawless once again. He plays Snow with softly spoken menace and as an engaging commander of war. Not led by anger or revenge but simply a lover of playing the game. Sutherland is compelling not by playing a tyrannical lunatic but an intelligent, measured tactician. Jena Malone is another who can flip between humour, agression and deep seated sorrow as Johanna, sometimes all in one sentence. It’s hard to mention any name without listing so many others. All deserve recognition. This cast seem to elevate one another. Every single one of them treats the story with respect and brings their A-game to the table. Liam Hemsworth’s Gale merits one final nod of appreciation. The growth of his character makes you want to look back over the past films to reassess him as he works under a Scorched Earth strategy. Powerless for so long and now confronted with the power to make an impact, he loses sight of the morals that Katniss has clung to and developed. And Hemsworth knocks it out of the park. Which brings us back to that Sherman quote about the American civil war and the cruelty of enmity and conflict. It is the nature of war, even necessary war such as this. There has never been a more apt quote for some of the tactics and chess moves applied to become the victor in the civil war of Panem. Humanity can so easily slip in to endless politically justified deaths. There is human need to justify cruelty and brutality to restore order, to maintain control, to bring justice. There is a lesson behind the emotionally driven action of The Hunger Games: Mockingjay Part 2, to teach the next generation of their past, so that they understand and try not to repeat the mistakes of those that came before them, to avoid becoming ensnared in the never-ending cycle of violence. Breathe a sigh of relief, dear friends. Trust me, no one has fallen at the final hurdle. 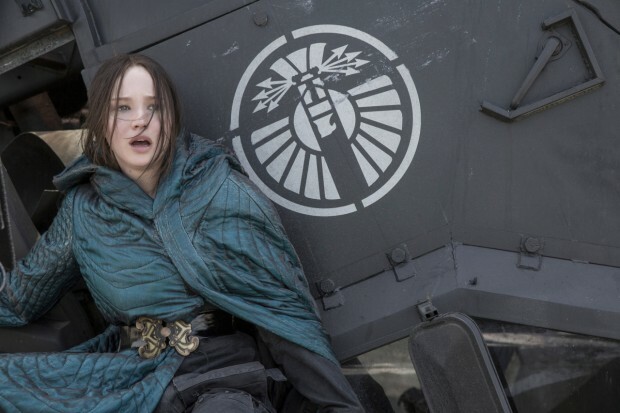 The Hunger Games: Mockingjay Part 2 marks a home run for the series. It ties everything together to feel like one complete story that puts other inconsistent franchises to shame. Part 2 closes and ensures that the need, want and love for The Hunger Games movie marathon will be a fixture for many people, for many to years to come. Oh look I’ve got a review epilogue. Fear not about the ending. It’s very close to the book and contains all of the elements you’d wish to be there. Comments by others that it is too long are incorrect. The aftermath of war detailed in Chapter 27 has clearly been mistaken for an epilogue. It isn’t. These moments are a part of the main body of the narrative. They are just as relevant to the story and to Katniss as the climactic showdown and the epilogue itself is similar to the length of the book.